Posted byClaire	 January 11, 2013 2 Comments on Rewarding yourself for hard work? I was just working on my other blog for my challenge for this year which is to complete Celtman, an ironman type distance extreme triathlon (yes I am a wee bit mental…but in a good way, honest!). If you want to find out more about what I’m doing you can check out the blog here or go the the race website here. It’s going to be an amazing challenge and I will be raising money for both The Rock Trust and SAMH, but that’s not why I wanted to put it up here. As part of my training, blogging process I’m taking regular pictures to see how my body changes. I thought before and after images would be a great way to demonstrate the results of all that hard work. I don’t mean the faked, Photoshopped images you see in magazines and online. I mean true representations of what happens when you start using your body how it’s meant to be used, instead of what it becomes when you live behind a desk and in front of a TV (e.g. what I’ve been doing for the last 4 months). You know yourselves when you see someone everyday you don’t really notice them losing weight or putting on muscle and we are often even harsher on ourselves. So my suggestion to you is why not reward yourself, or someone you love, with a photo shoot at the end of your training programme. This is not just about the girls…boys you deserve some rewards too! It can include a makeover and new clothes or maybe you just want to see the difference between you in your workout kit before and after it’s up to you. Think of it as added motivation. I started this idea rolling with Tracy at Griffen Fitness and Marcus at Combat Ready (both in Edinburgh) back in December, but then got side tracked by other developments with the projects, and obviously Christmas and New Year, so I’m just coming back to it now. I’d love to hear what you think, if it’s something you would be interested in doing or know someone who does. Also as it’s a new project for me I’m looking for a couple of models (by that I mean normal people to model) so the first couple of people to get in touch and who would be happy to be used in my promotional materials are likely to get their shoots for free. Something to think about. 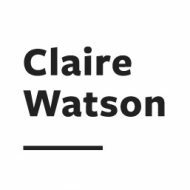 If you live anywhere in central Scotland including Edinburgh, Glasgow and the surrounding areas and are interested in hearing more email me at clairewatsonphotography@yahoo.com or even better give me a call 07763092221 (and there is always Facebook and Twitter too). Firstly well done for taking on this amazing challenge! What a brilliant achievement and even better your doing it for charity! I would love to be involved in modelling for you. I don’t quite know what your looking for or what it involves but sounds exciting and would be happy to help!? The first triathlon I achieved was The Big Ben Nevis in 2011, then I completed Coast to Coast last year and loved it! Would love to try the Celtman, maybe next year!! Concentrating on CrossFit this year and hoping to compete with my gym later on in the year! Good luck with everything if I don’t hear from you. That’s awesome…I may have even seen you last year as the Coast to Coast crossed the route for Highland Warrior just outside Fort William. Small world! Where abouts are you based? My sister is a huge fan of CrossFit, but I’ve never done it myself. Where do you do it? As for what I’m looking for, anyone that’s committed to making a visible change to their bodies, is probably the most straightforward explanation. I want the promotional pictures to be a celebration of achieving goal’s. Thanks for the support and keep in touch as i’d love to here how you get on at Crossfit.